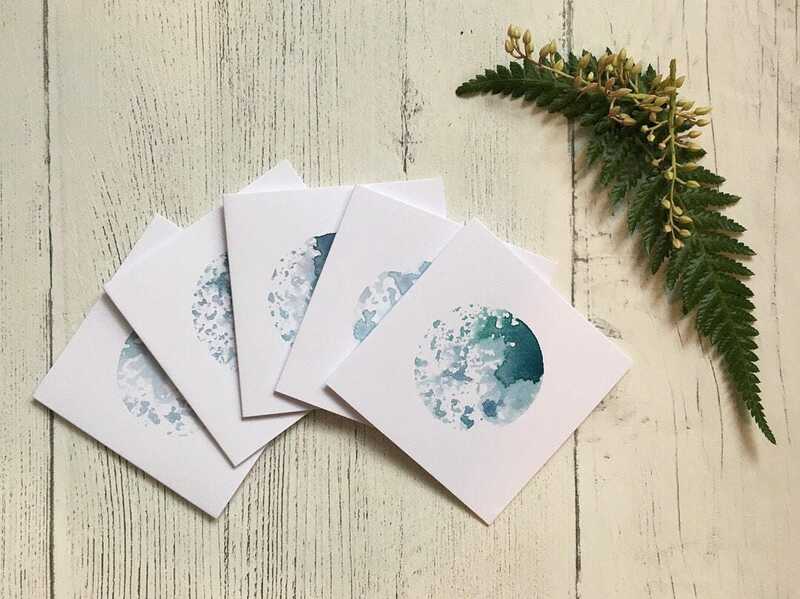 These beautiful little moon and wee planet cards are so simple yet one of my favourites! Each little planet and moon has been printed using a hand cut stamp and watercolour paint. This means that colours and patterns within each circle slightly varies due to the unique print. 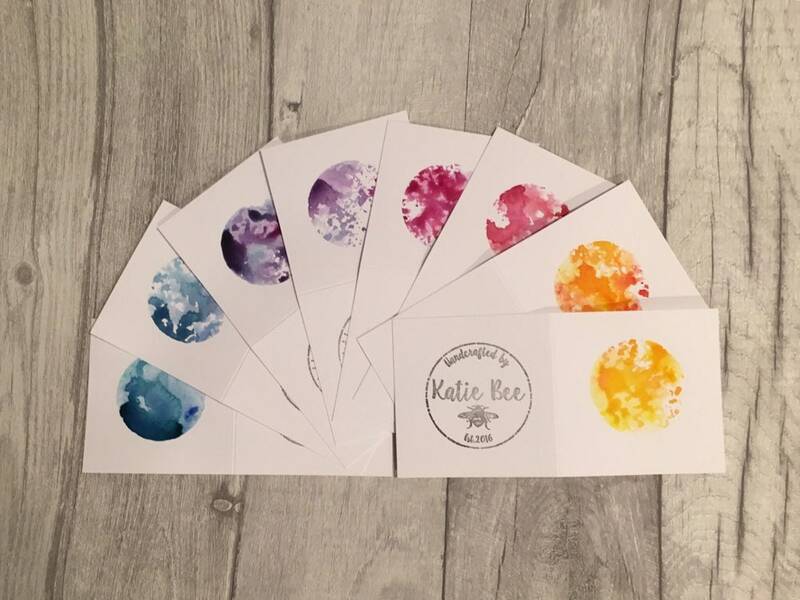 The Katie Bee logo is stamped on the reverse. Please let me know if you have a colour preference. The moons, sunshine and colourful planets can be mixed and matched too to make your own wee planet pack! 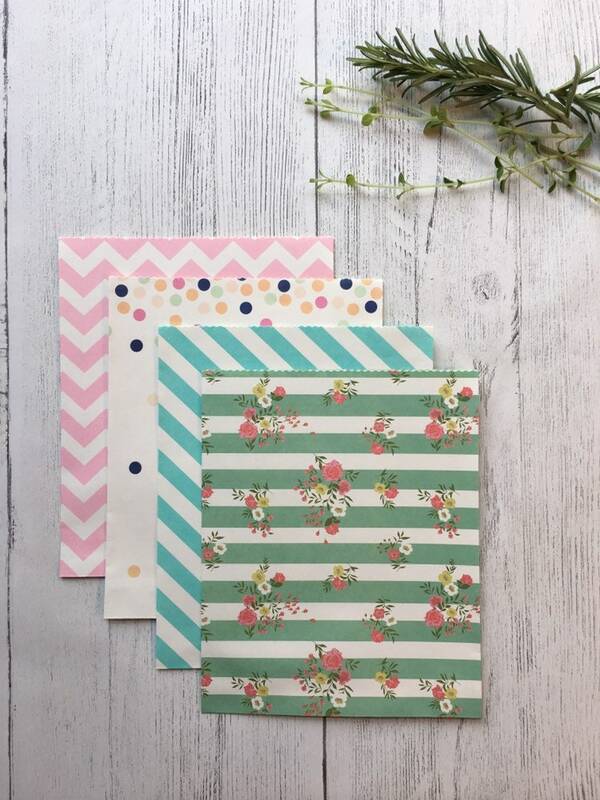 The cards are blank inside allowing you to write your own wee message, making them perfect for any occasion. The mini card is a very sweet 3” x 3”, 250gsm and comes with a little square envelope. A cello wrapper and a board back envelope ensure your cards travel safely to you! These are such beautiful cards! !